We would like to take a moment to thank everyone that attended our Tapping Potential event last night! eQuality depends on the support of our friends, family, and community members to continue with our mission of providing life enriching services to our associates. 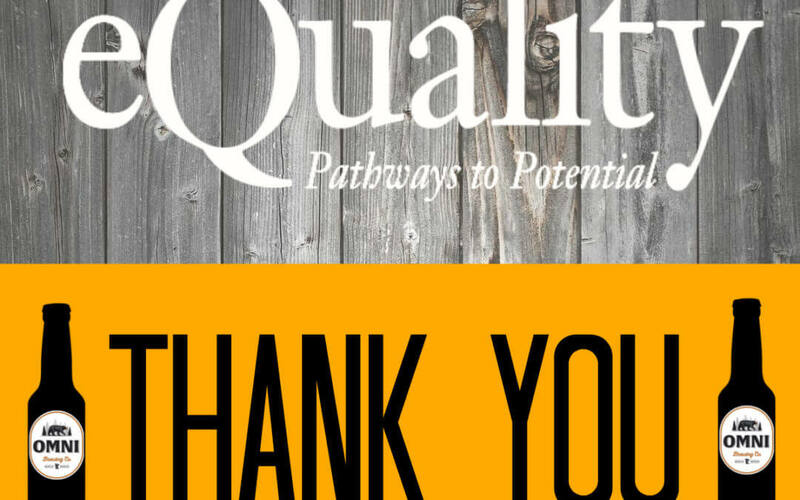 We truly appreciate the love and generosity you all have shown eQuality—Pathways to Potential. Thank you to OMNI Brewing Co. for their support of eQuality and hosting us in their beautiful tap room!